Because You Needed More Reasons To Eat It? That’s not just a catchy headline. Chocolate really does keep you gorgeous and youthful but there’s more you need to know for it to fully do it’s job. The truth is (that’s spreading fast) that Chocolate is loaded with a high amount of antioxidant rich nutrients necessary for healthy skin and hair and reduced stress levels. However, these power nutrients are not found in cheap candy bars and the everyday mocha latte. They are found in the cacao content of the chocolate. You can find this on the bar of chocolate with benefits kicking in at 60% and higher. Some people prefer dark and others prefer milk. But as far as the benefits go, it depends on your digestion and taste preference. Skin Protection: The cacao bean also contains various essential nutrients which help you to stay healthny and beautiful. With great sun protection properties, it has the power to shield your skin from harmful UV rays, preventing sensitive conditions like sunburns and skin cancer. Regular dark chocolate consumption also helps you achieve that sought after smooth, problem free glow, as it keeps your skin moist and well nourished. Hair: Cacao is a great aid in promoting blood circulation in the scalp which leads to increased growth of healthy, lustrous locks, reducing hair loss. In addition to that, it's anti-inflammatory nature helps minimize the odds of getting scalp infections. Infused with the goodness of several hair-benefiting ingredients, dark chocolate improves the overall health of your tresses, making them shiny, sleek and voluminous. Exfoliation: Not just for eating, this magical bean can be used in combination with coffee beans for efficient exfoliating! It detoxifies and sloughs off the dead skin cells and allows the newly exposed, fresh skin to breathe freely. Here’s the caveat. 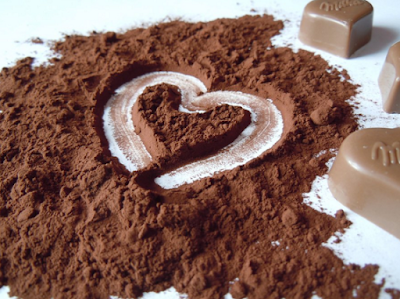 Cacao is great for you but sugar and dehydration are not. So, there are many ways to get the health benefits of chocolate but you need to help your body be in a state to receive it. Drink plenty of water. If you go for 2 liters a day, you should be good. Stay away from additional dehydrating foods like breads, crackers and coffee. Of course, live your life! We are a bakery and understand that there are many occasions in life that call for sweets and sugary delights. Just find balance. And then the benefits will come through for you! A Most Delicious Pain Relief Remedy You’ve GOT to Try! Ginger is one of the most delicious flavors of winter and we highly recommend enjoying it regularly in your baked goods and holiday treats. But did you know that ginger offers pain relief as well? It’s true! And once you hear about the benefits, you’re going to want to buy them in bulk! (not to worry, fresh ginger root keeps well in your freezer). If you find yourself nauseous or with an upset stomach, mince up a small amount (about the size of your fingernail) and swallow it. You'll be amazed at the relief it provides. The truth is, ginger is anti-inflammatory, which makes it a valuable tool for pain relief. In 2001, research showed that ginger oil helped reduce knee pain in people with osteoarthritis. There was a study done where women athletes taking three grams of ginger or cinnamon daily (that's less than one teaspoon) had a significant decrease in muscle soreness. Ginger has even been found to be as effective as ibuprofen in relieving pain from menstrual cramps in women. The pain-relieving potential of ginger seems to be so far reaching and we are only just beginning to understand it. Along with help for muscle and joint pain, ginger has been found to reduce the severity of migraine headaches as well as the migraine medication Sumatriptan – with fewer side effects. Ontario Bakery loves sending food based inspiration your way especially when it works as a healing agent. And we don’t stop there! We specialize in custom baked goods like cakes, cake pops and other treats, for just about any occasion. So if it’s time for some holiday goods, be sure to call Ontario Bakery to get the job done well. 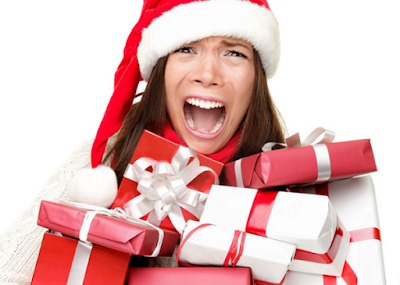 Hate the stress of holiday shopping? You’re not alone. If you’re like most of the shoppers out there you don’t need more stress and pressure added to your already busy schedule. Besides, isn’t holiday shopping supposed to represent peace, joy and togetherness? Don’t let the shopping madness steal you of the season’s beauty. 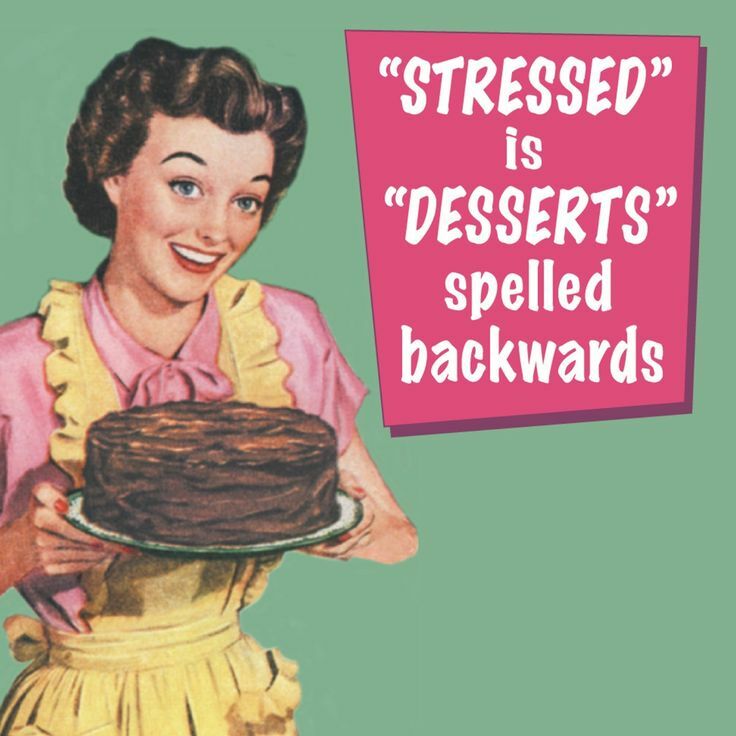 Instead, let us at Ontario Bakery, share our best tips to help you have a stress free holiday shopping experience. Make. I’m sure you’ve heard this before, but there’s something special about making something for someone. Whether it’s a craft, something of memorabilia or even baked goods, don’t underestimate the power of creating something special. Online. Avoid the stores all together. Shop online for your family and friend’s wish list. Even better, make sure to sign up for the bonuses that include rebates and free shipping! Just make sure they have an honorable return policy. Vouchers. Why not create or purchase coupons or vouchers? You can gift someone a series of neck rubs or foot rubs, babysitting, or dinner cooking! You can also purchase gift cards online and organize them in a sweet way as you present them! Mornings. If you do choose to go shopping, go early in the morning when the stores open and not on the weekends. Efficient shopping and less stress. Easy, right? Remember. This is a season of togetherness. It’s really not about getting the most expensive gift or the most gifts. It’s about showing each other how much you value one another. So the biggest stress reducing tip is to keep the whole thing in perspective. Think about who you’re shopping for and the best way to touch their hearts. This is not a time of competition, rather a time of togetherness. Ontario Bakery is here to make your holidays even sweeter, so be sure to call us when you’re ready to reduce even more stress from your schedule and have your holiday cake custom made by us and for you. You won’t regret it. You deserve the best and that’s what we’re here for. One thing that come to mind when we think about the holidays is family stress. It doesn’t matter who your family is, each one has that one person or whole household that seems to cause tension or conflict. Wouldn’t it be great if you had a little tip book on how to get through it all with ease and joy? Well as a family business that has our own family dynamics to deal with, we’ve learned some ways to enjoy the holidays without compromising our values or losing the beauty of the holiday because of conflict. Don’t sweat the small stuff. I know you’ve heard it before, but in the grand scheme of things, does the issue at hand really matter? Conversations are going to come up that irk you, but there’s a good chance that in the big picture, the situation isn’t life altering or going to make or break your life. Set it aside. Enjoy the ride. See past the exterior. Many times, things bug us simply because we’re focused on what we see. Many times this has to do with clothing, hair cut or color and even lifestyle choices. But under the seen, there is a real person worthy of love; regardless of your opinions. If they were suddenly struck with a life threatening illness, would your feelings about their choices matter so much, or would you savor the time you have? Underlying causes. All isn’t as it seems. When people act angry or argumentative, there’s often something deeper going on inside them. Perhaps their job or family life is wearing on them … or they’re just unhappy. Be loving to them. Inspire them. Small portions. If, in spite of the above, there are still people that are difficult to be around, love in small portions. No one said you need to spend the whole time with one person. Spend a little time, ask a few questions, show love and move on. You aren’t asked to be a martyr. Know your home. Yes, some people will bother and annoy you. You’ll wonder how you ended up so sane in a family of crazy people. Oh well. We’ve all been there. Know who you do relate to and enjoy those even more. Boundaries. Be honest with yourself. If there are people in your family or friends circle that are unhealthy and out of control in their addiction, anger or such, it’s ok to pass on the festivities if that’s what’s necessary. Be sure you’re doing it out of respect for yourself and others and not just judgement. Remember that who is around you doesn’t determine who you are. They do however, invite you to be the best version of yourself possible. So as you prepare for the coming holiday gatherings, remember that it’s your job to decide how you will enjoy it or not. 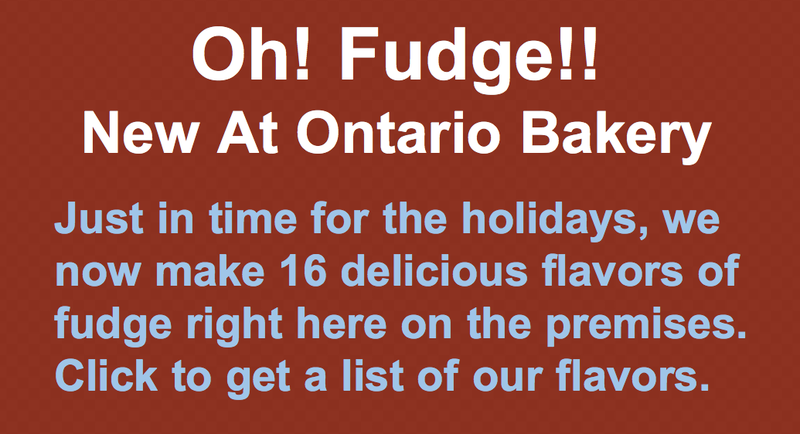 Also remember that Ontario Bakery is here to make your holidays even sweeter. If you’re looking for a delicious way to end your holiday meal or party, please call Ontario Bakery. We specialize in custom baked cakes and goods for all celebrations. A Winter wonderland might be fun to look at and even play in but the truth is, that those dark gray days can really wear on a child’s energy levels and need to be busy! It’s important that they have fun busy things to do so they stay happy, sleep rested and you don’t lose your mind either! At Ontario Bakery, we know that family comes first. That’s why we want to share some simple fun activities with you for little hands and busy minds! Build an obstacle course - all kids love to climb and hide. Get out the pent up energy using blankets, pillow and other fun props! Window Painting - Using water colors, have fun with paint on windows! Let the sun shine through and enjoy your creation. Don’t worry, it all washes off! Create a Puppet Show - Write a story together. and then create little paper cut outs to perform your own puppet show! Make a Family Tree - Talk about your family and all the generations. Make a cutout of a tree and place your family’s faces on the different branches to show your lineage to your child! Play with Clay - Recreate your family and decorate a Christmas scene. Have your child make your pets and all their favorite toys even! Winter doesn’t have to be boring. Even though you’re stuck inside there’s plenty of fun to be had. And why not top it all off with some winter sweets? Fresh baked cookies or even a cake? Call the bakers at your local family bakery. Call Ontario Bakery. A family for all families. The Sweet Health Benefits of Cinnamon You Really Need to Know About! goodness of cinnamon and are happy to share not only the health benefits but also some great ideas and ways to use it in everyday snacks and meals! Numerous studies show that cinnamon regulates blood sugar, making it a great choice for diabetics and hypoglycemics alike. That’s also great news for anyone who wants stable energy levels and moods. It has natural anti-infectious compounds. In studies, cinnamon has been effective against ulcer-causing H. pylori bacteria and other pathogens. For those looking to loose weight and be more heart healthy, it reduces LDL cholesterol levels. LDL is also known as the harmful cholesterol. Reducing it may help reduce the risk of cardiovascular disease. It improves regularity and nutrient absorption, as it contains fiber, calcium, iron, and manganese. These, in addition to cinnamaldehyde, helps with menstrual pain and infertility, as it increases the hormone progesterone and decreases testosterone production in women, helping to balance hormones. Bonus fact? It’s a great binder! Cinnamon, when met with liquid and allowed to set, coagulates, creating a gelatinous response. Take advantage of cinnamon’s potential benefits and incorporate it into more of your meals and desserts! It can be used it in both sweet and savory dishes in so many ways! Sprinkle cinnamon into your coffee, or add it to your coffee grounds before brewing: Great for boosting metabolism and starting your day! Add a pinch of cinnamon to lentil or black bean soup, or vegetarian chili for a fall flare. Sprinkle a little cinnamon and sugar onto popped popcorn. Really, there are even more options than this. Browse around online to see more options! Cinnamon has been used for thousands of years to heal the body and enhance tastes, so why stop now? At Ontario Bakery, we love being apart of lasting memories in your families and would love to be a part of more. Please let us know what we can do to help you have a warm and delicious holiday season! We’ve all heard it said, that 40 is the new thirty. Well, if that’s so, then 50 is the new 40 and nothing is more empowering for women than that. Women no longer have to feel that 50 is the invitation for a mid-life crisis. They can now recognize it as a time to step into an opportunity to live more powerfully, confidently and in the now. Who to invite. This just might be the most important tip. Make sure that the people you are inviting are people that will motivate and inspire her. The last thing she (or anyone for that matter) needs is to be surrounded by complainers that only see aging as a depressing path to dying. Invite people that are excited to live their lives, have goals, and are feel inspired! Choose a theme. You don’t need a theme but it sure makes it fun and brings out the playfulness in everyone. You can go fun and silly or go classy and elegant. Fill the night with your favorite movies, food and music. Stay in and dance or go out and strut your evening look! But remember to take pictures because it's sure to be memorable. Capture it well. Put someone in charge of photography with a goal in mind. Tell the photographer what moments you want to make sure our captured, like laughter, kisses, bonding, emotions or a carefree spirit. Then collect the photos together and privately present it later as a belated final gift. She will cry, so have tissues. The Bucket List. Make a list of 10 things you want to do in the next year and then 10 major things you want to accomplish in the next TEN years. From simple things like calling an old friend to travel or adventure! These should all be things that you've either forgotten to take the time to do or just never found the time or the courage to take that big leap. This is a great table discussion and way to keep the whole group talking, sharing stories and comparing goals. Who knows? Maybe an exciting adventure will be planned! As you can see, there are many ways to celebrate the incredible women in our lives and keep them feeling young. Of course, we are happy to add to the delight of your celebration with some custom baked goods! Call us at Ontario Bakery and we’ll happily give you all the details! As your child’s birthday rolls around the bend, you’re mind quickly becomes overwhelmed with the party planning details. And if that party falls anywhere near another holiday, like Thanksgiving or Christmas, you are really going to need a plan to keep the stress and cost down. But don’t make your kid take the hit. They are looking forward to their big day and it’s not their fault that it comes at a hard time. So if you are looking to throw a smooth and simple kid’s birthday party this year, then we at Ontario Bakery are excited to share some of our favorite tips with you. This is a kid’s birthday party; not a wedding. The most everyone is expecting is some good ideas for fun and a delicious treat at the end. A party with simple elements means you will have less to coordinate and worry about, giving you more time and peace of mind to enjoy celebrating the birthday kid of honor. Not everyone has to come. A good way to gauge this for kids is to have them invite a list of kids equal to their age. A ten year old then, could invite 10 of her closest pals, for example, though this guideline might not be so realistic for the younger children. Remember that most kids will have one or two adults with them, making your guest list bigger. 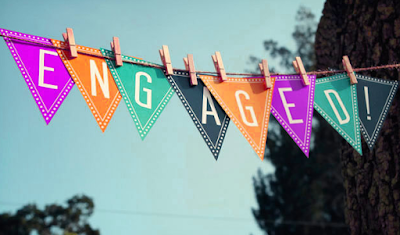 So keeping a party small makes it easier to manage and gives you enough time to mingle with your guests to make sure guests are enjoying themselves. You don’t have to facilitate the gaming olympics but keeping games around are real boredom saver. Small activities for young ones could be coloring, or painting on parchment or bubbles. For older ones you could have jenga, ring toss or cards. 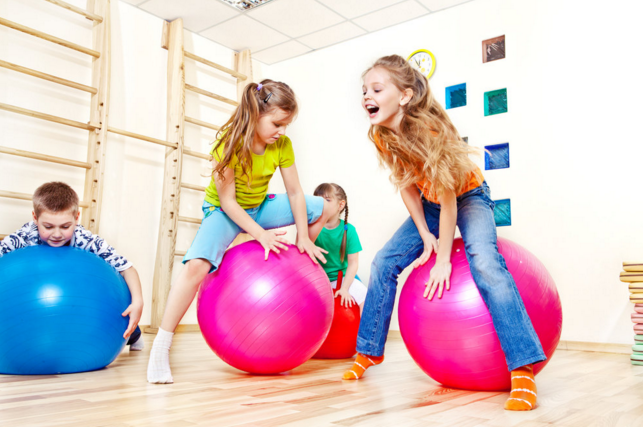 As other parents ahead of time to monitor different activities to keep the safety and fun in flow. Kids know what they want and often times it’s not too complicated. YOu can avoid a lot of unnecessary work if you just ask their advice in the beginning. Most people’s kids have a hard time sitting through an extended gift giving time. One option is to treat it like a wedding. Have the presents stacked on a table and allow the child to open them at home. 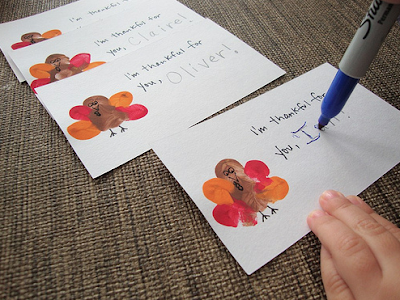 This allows the fun to be the focus and an added bonus is that the child is able to take time to draw or write out thank you cards to his kind friends. 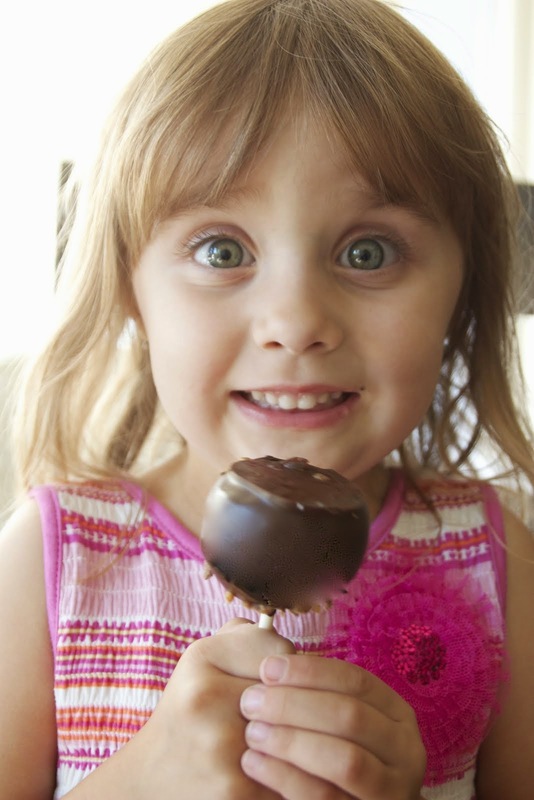 At Ontario Bakery, we know kids, parties and celebrations better than anyone. 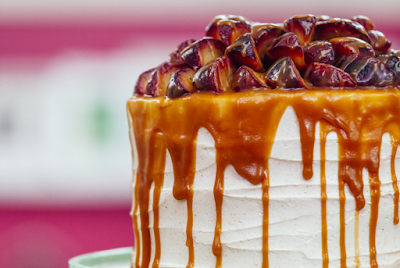 We’ve baked more custom baked goods than we can remember and we’ve got plenty of parties left in our kitchen. So as you plan, let us help you keep it smooth and simple with our custom baked, delicious birthday cakes. Do your kids say thank you? Do they mean it? With Thanksgiving coming up around the corner, we are reminded of how important it is to be thankful but even more so, to show it! Over the next few days, we'll be sharing little tips on growing and encouraging gratitude in the different stages of childhood and teen years. We are a family owned and run business and we care about family values. We think that these tips will warm your heart as much as they're warming ours. Growing Gratitude in Young Children. It's important to remember that young children are still developing the concept of being thankful. It doesn't come naturally. So any little gesture is a step in the right direction, verbal or non-verbal. Practicing good manners in instances when a “thank you” is appropriate will nurture their budding sense of gratitude. While saying “thank you” may be an automatic response at a young age, as they get older they’ll begin to attach true meaning to the words. 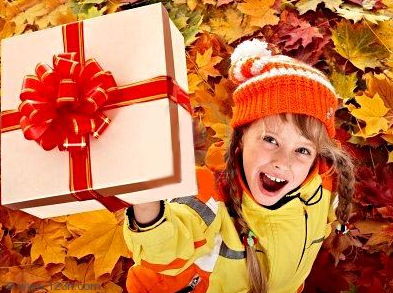 When your young kids receive gifts, they should be expected to create and send a thank-you picture or short note within one day of the kindness. To practice immediate thanks, teach the non-verbal kids how to sign 'thank you'. You simply place your hand at your mouth and then extend it forward. Use pretend. Have a tea party with manners or have the stuffies practice saying thank you when appropriate. At meal times or bed times, everyone take a moment to talk about something nice that happened to them or about a person that was kind. At the end, say, "I'm thankful for ____" and insert the person or situation. Sing what you're thankful about or find a poem about gratitude and say it often. Children memorize well this way. Write down the people in your child's life that they love and appreciate. Then have him or her help you think of nice things that could be done or made for them as a way to say thank you. Make or do something once each week and let your child give the gift and experience that joy. Spreading gratitude is actually quite simple when we commit to it sincerely and out of love. Children are quick to model after our behavior so it's up to us to set the standard. At Ontario Bakery, we believe that giving is a beautiful way to show our love and thankfulness. So, of course, if you'd like to include custom baked sweets to your list of giving, we'd love to share in the process. Contact us today with any questions! Simple Ways to Make Thanksgiving More Meaningful and More Delicious! Looking for a way to make Thanksgiving more meaningful and more delicious? We don't blame you! Thanksgiving is a wonderful time to gather your friends and family around in gratitude as you enjoy your feast. There’s the Turkey to plan for, the yams to prepare and all the side dishes to go with it. What we at Ontario Bakery don’t want for you is to be so caught up in the hustle of cooking, that you forget to enjoy the day! So in the middle of the planning, we want to share a few ways with you that will help you not only add more ease but more meaning to your Thanksgiving Holiday. as an obvious one but let’s go deeper with it. Instead of being thankful, really be in gratitude. Whatever your family tradition is, whether you share, or pray before your meal, we have one to add to it. Before or after your meal, take a deep breath. Silently look around at everyone. Make eye contact. Then allow everyone to take a turn sharing their gratitude for both the person on their left and one other person at the table or in the room. We as a society are great at sharing that we are thankful for food, shelter, clothing and such - but we fall short in sincerely sharing our gratitude for other people. When people feel they are appreciated, they do more of whatever has been noticed and appreciated. Appreciation creates a desire in our hearts to do and love well. Goals: This one comes in two parts. First, share some of your goals for the last year. What were they? Did you meet them? What stopped you and what kept you going? For part two, share your goals for the next year. Are they the same ones? Are they built on this last year’s goals? What will you do the same or differently to help you get there? How have these goals made you more thankful in life? These questions are great conversation boosters and will help you to get deeper and closer to your friends and family members. As for easier? Ontario Bakery is a family owned business that thrives on custom orders. We know you love your pumpkin pie, but who can resist a custom baked cake; perhaps with vanilla and cinnamon, to finish off your holiday meal? Not many can, and that’s why Ontario Bakery is here. We want to be available for your holiday to deliver the sweet grand finale! 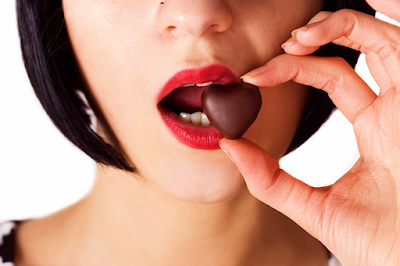 The Surprising Health Benefits of Chocolate You Want to Know About! All the winter holidays are just around the corner and the last thing you want to do is enter the battle of you vs. the dessert table. So, while we don’t want you to unleash all binge control, we do want you to be advised that if you’re going to go for the sweets, go for the chocolate. From Ontario Bakery to you, here are some surprising health benefits of chocolate you definitely want to know about! Dark Chocolate has been proven to be full of antioxidant rich nutrients that are necessary for healthy skin, hair, vitality and stress levels. They calm the mood, boost dopamine levels and bring people together because of all the happy hormones they release. What fun! It doesn't mean you should be grabbing your favorite candy bar every time a craving shows up. It does mean however, that when you do have that craving, that there are some beneficial choices out there. Antioxidant Rich: Chocolate is loaded with winning antioxidants. And what are antioxidants good for? They rid the body of free radicals; those menacing little molecules creating the havoc in your body responsible for aging, disease and even cancer! The antioxidants bond themselves to the free radicals and pretty much walk the plank with them to make sure they are disposed of properly. 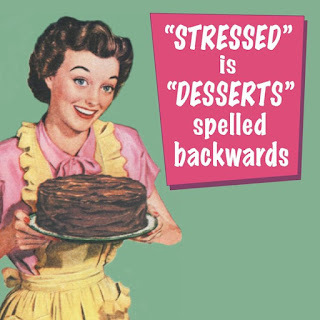 Less Stress: Stress can really mess with your work, home and general quality of life. Dark chocolate boasts wonderful stress-relieving qualities and works wonders in getting you a glowing skin (more skin benefits!) by reducing elevated stress hormones. .....ah... dopamine! So as the holidays near, if you so find yourself wanting to indulge a little bit more into your sweet tooth and have a celebration to prepare for, please let us know! 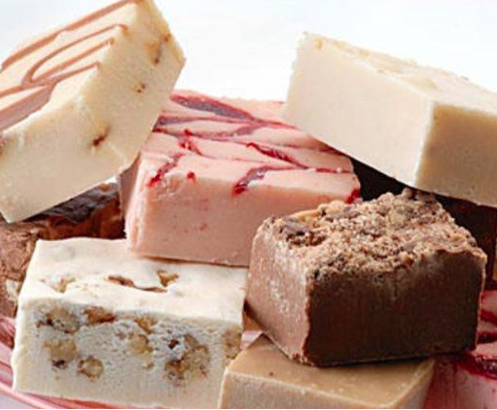 At Ontario Bakery we are always ready to make your life a little sweeter.